Catch Mixtape At These Upcoming Killer Events! It’s back! The sequel to last fall’s hit horror/VHS immersive art installation is coming. And we’ll be there to demo the game and hang out with you awesome folks! It’s an ode to the VHS days of horror that’s one part exhibit and one part art show. 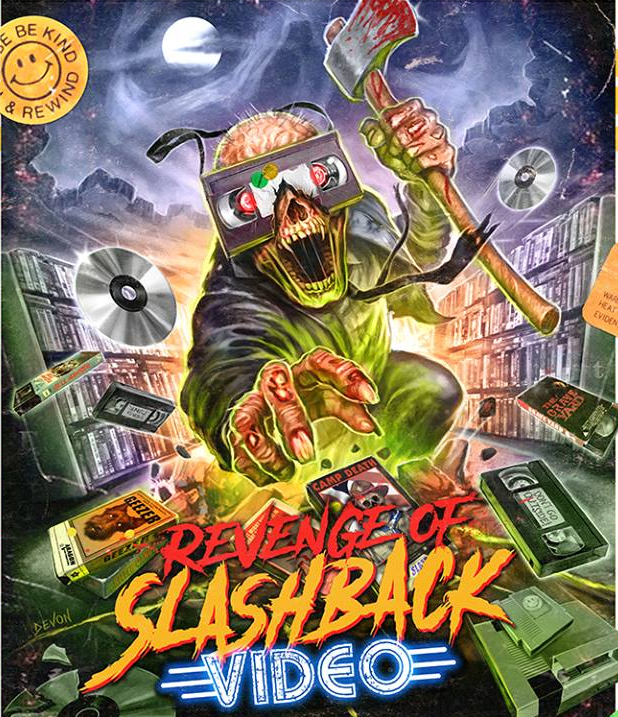 Step back in time to the 1980s/early-’90s when mom and pop video stores thrived and gaze upon a wide array of posters, VHS tapes, promos, laserdiscs and video games! All of this is brought to you by The Mystic Museum & Ciara and Ryan Turek. We’re back for our second year at the premiere Horror Film Convention, Monster-Mania Con! 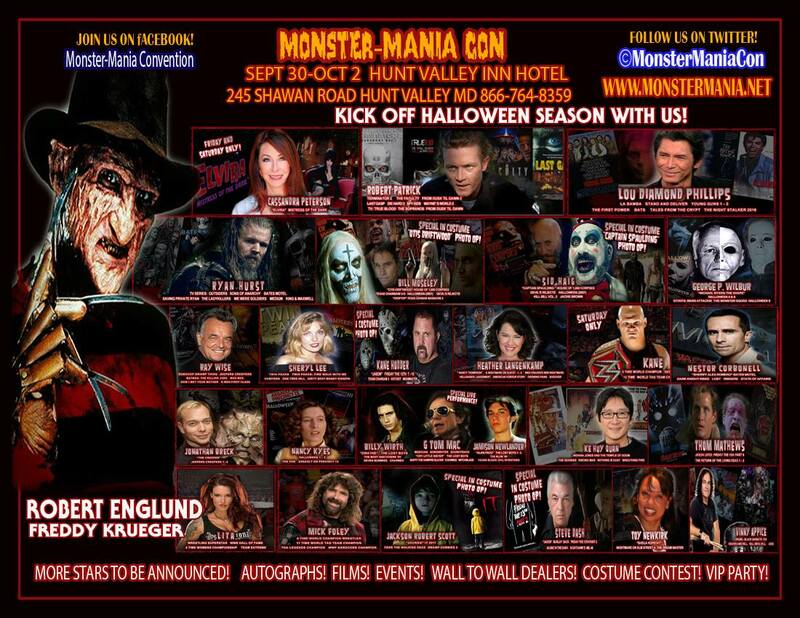 Meet ROBERT ENGLUND, CASSANDRA “ELVIRA” PETERSON, ROBERT “TERMINATOR 2” PATRICK, LOU DIAMOND PHILLIPS, RYAN HURST, WWE’S KANE and many more! Meet the stars, get autographs, browse our vendor rooms and enjoy films and special events all weekend long! We’ll be there all weekend, so swing by our table to check out our game or just say hello! We give killer high-fives. 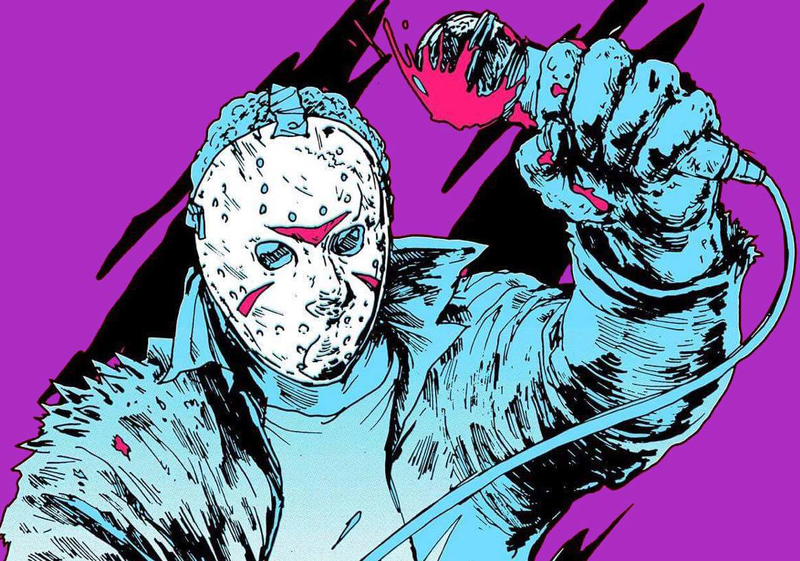 Jason Voorhees returns to BitBar for another video game horror party with the makers of Friday the 13th: The Game and Mixtape Massacre. Demo both games and connect with fellow horror fans over drinks in a haunted arcade! It’s hard to believe that Third Eye Games & Hobbies has been around for THREE years now! 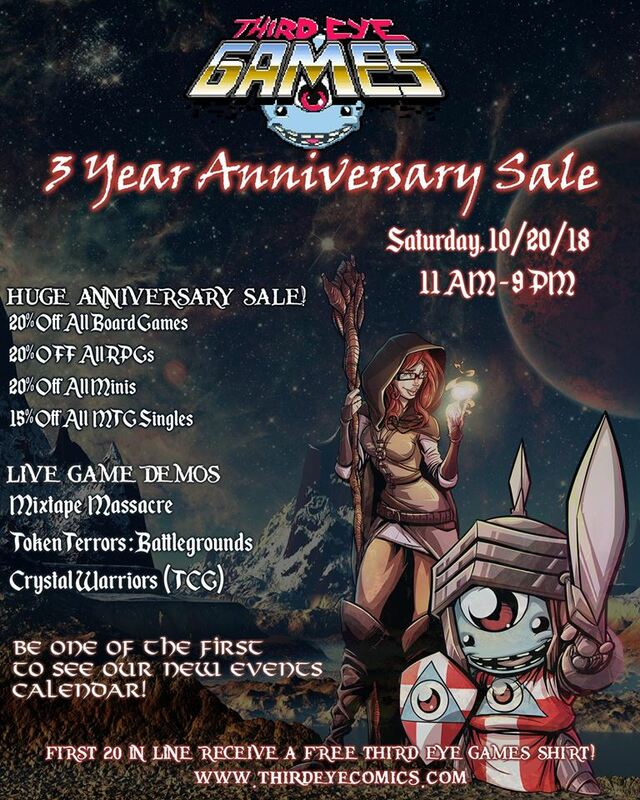 On 10/20/18, they’ll be doing a very special one-day only ANNIVERSARY SALE event where they’ll be putting nearly everything in the store on sale, and inviting a few AMAZING creators in for game demos (one of them being us, Mixtape Massacre!!) and a few other surprises!